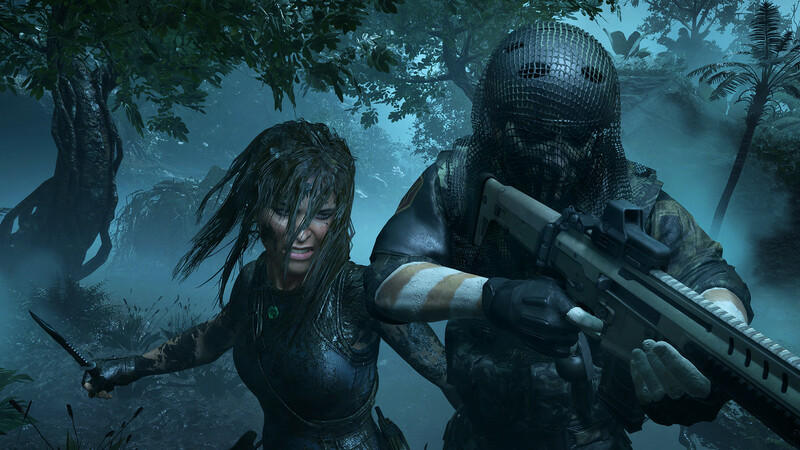 Square Enix, Eidos Montreal, and Crystal Dynamics have released a new walkthrough video for the upcoming conclusion to the new Tomb Raider trilogy, Shadow of the Tomb Raider. The walkthrough video introduces the Hidden City of Paititi, which is a massive hub area touted by the developers as the largest yet in a Tomb Raider game. The hub comprises multiple districts that open up as the game progresses, which contain its own set of challenges and missions, along with a marketplace that fuels the crafting system, along with a new bartering option. In Paititi, Lara Croft will be funneled into a variety of activities, as one of the major goals here (other than stopping the antagonistic Trinity organization and preventing a Mayan apocalypse event) is to create the feeling of a living world, as well as a social hub. To that end, players have the option to “allow” the inhabitants to speak in their native tongue, rather than whatever language the game is set to on a user level (although that is still an option as well). The video shows off the scale of Paititi, as well as a look into the sort of systems and mission-based content players can find within. It’s also a good look at the game in motion in general, as Lara scales a cliff and finds a hidden challenge tomb.